Find out more about our boarding services and how we make your pet's stay as comfortable as possible. Find a complete list of the exotic animals that we treat. 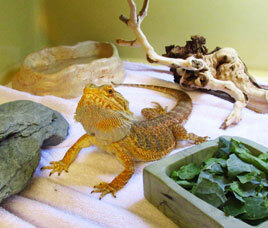 Get the information you need to care for your exotic pet. Care Sheets will be available in the near future.